Vivint is a solid choice for those looking to invest in a secure home security system with all the bells and whistles. It’s perfect for those who want to sit back and let the system do its thing, with a speedy event response feature that means you don’t physically have to call-in response teams should an emergency arise, it’s a safe bet to keep your house protected. And for those looking to pair up their home security system with other smart products, Vivint’s system can easily pair up with Nest thermostats, Google Assistant, Amazon’s Alexa and more (all of which can be controlled via Vivint’s app). With a range of smart sensors including motion, flood and fire, carbon monoxide and even a glass break detector for windows and doors, you can be sure that Vivint will pick up on just about anything – making it a reliable security alarm system for your home. One of Vivint’s most impressive features is its ability to pair with all walks of internet devices. Working hand in hand with Z-Wave technology, which works a little bit like Bluetooth, allows Vivit’s smart home security system to be paired with all sorts of devices so that they can all work together. Meaning, if you want to buy another gadget or product such as light dimmers, a sound system, or even a smart lock that doesn’t belong to Vivint – you can easily do so, that is, as long as it’s Z-Wave compatible. With Z-Wave technology, you can be on your way to building that smart and automated house of your dreams. Vivint cleverly uses cellularly based technology to connect the monitoring station to all the sensors and devices in your home. A cellular-based monitoring connection is considered one of the best options for security surveillance mainly because using landline connections means that a potential intruder could simply cut the wires and disarm the system. Wireless connections, however, are very difficult to disable making them a great option for home alarms. On top of that, Vivint comes with an added backup battery so that should a power outage ever occur, it would simply dip into the battery’s energy source keeping your security system running smoothly when everything else black’s out. With Vivint’s doorbell camera you’ll be able to have a two-way conversation from anywhere in the world by simply using the Vivint app or you can speak via the SkyControl panel from inside your home (more on that in the Security device section below). The fancy doorbell includes a one-way 180-degree video system that includes night vision, meaning only you can see the person on the doorstep – and at any time of day. With the smart doorbell, you’ll be able to see everything happening at your front door via the app no matter where you are, and even be able to receive alerts of action and gain recorded 20-second clips when any motion is detected. Not only can you use your smartphone or device to watch video clips of your home, you can actually schedule security cameras to begin recording at specific times. Motion detectors (as with the doorbell live feed camera) means that the cameras can be set up to record whenever motion is detected. The Tilt Video Camera actually rotates so you can get a real 360 degree live feed allowing you to keep track of your kids, pets or even check on the house when you aren’t home, directly from your smartphone. With the app, you’ll also be able to save certain preset camera positions so you can easily check on the needed spots inside your home (such as your dog’s cage or a baby’s crib at night for example). When you combine smart electronic doors with the Vivint app, you’ll be able to fully control your home’s entrances and exits, including your garage door. In other words, you can be chilling on a beach in Hawaii and be able to let your dog walker in and out of the house for example, without having to lend them a pair of keys. The nifty app also allows you to schedule the locks in any way that you wish. For example, you could program certain doors to lock or unlock automatically as soon as you arm or disarm your system, allowing perhaps a cleaner to come in at their scheduled time – the options are limitless! With the Vivint app in hand, you can use any smart device to not only control your home’s security but also the temperature. With a little help from the Vivint Smart Thermostat, you can adjust the temperature in your home whenever you want, from wherever you want, saving you both energy and even money. This means you can make sure that your home is the perfect temperature perhaps when you wake up, when you walk through the door (so that your heating doesn’t have to unnecessarily be blasting throughout the day) or even control it when away on holiday. Note that each package offers customizable systems whereby you can choose the equipment that’s more important to your specific property. Generally, if you have more than five points on your property where equipment needs to be installed, we’d suggest the ‘Smart Protect Package’. This package will allow you to add-on two extra security equipment features of your choosing including the doorbell live feed camera, the door lock feature or the thermostat control. The largest of the packages, ‘Smart Control’ really goes the whole way when it comes to the added features and devices. With this package, you’ll receive nine points for security equipment giving you options to add many devices and features to your plan. Once you’ve ordered your Vivint DIY home security equipment, free installation may be available within hours of purchase. Professional technicians will come over and install your chosen package, ensuring that it’s defect-free and provide a detailed explanation of how everything works. Installation time will depend on a few factors, including the number of chosen devices and whether or not you have previously decided where everything will go, or if you’d like to discuss it with the technician and listen to their recommendations. Overall it should take on average around two hours to complete. As soon as everything’s installed, and you’ve set the customizable changes (if you so wish), the service will do it’s thing, 24/7, making it totally out of sight and out of mind. If a sensor is triggered, the control panel will set off an alarm and then signal the monitoring center to notify you via call and verify the emergency – if it happens to be a false alarm, you can simply disable it with your code. 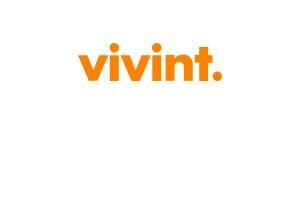 Vivint also offer a lifetime guarantee on all of the purchased equipment. If you’re signed up to the premium plan, you’ll be covered for repair and service on any defective devices and equipment free of charge whereby someone will come over to your property and repair/replace equipment where needed. If you aren’t on the premium plan, however, you’ll have a 120-day warranty on all equipment, and after that time-frame repairs will still be free, but you’ll have to pay a service charge. When you get your hands on a swanky Vivint alarm system for homes, you’ll get the Vivint mobile app available for both iOS and Android to go alongside it. The app mimics the SkyControl Panel and with it, you’ll gain full control of your DIY home security system from anywhere in the world. This way you’ll be able to disarm and arm your home, lock/unlock the front doors, control all devices you’ve attached to the system (including temperature, sensors, and lights), take videos, swivel cameras to view live feeds and most importantly, receive alerts and notifications. Over time, the control panel will slowly learn your habits and automatically adjust settings to your preferences! Overall, the app is rated very highly with Google Play giving it a rating of 4.5/5. It’s simple to use and highly customizable compared to its competitors letting you change minor details and automate anything you can think of. With Vivint’s smart home security system you get a fully automated system where you don’t have to worry about installation, maintenance or monitoring, and is something that shop owners and homeowners could all benefit from. It’s particularly handy for those who go away often, or have pets they want to keep an eye on.